A Redditor recently posted an old video of a 'Fortnite' gameplay that had its developers laughing. Tons of "Fortnite" highlight videos have been uploaded on the web as it showcased amazing gameplay from its massive community. This one, however, falls under the blunder reels. The clip was that funny that Epic Games made it somewhat like an interoffice memo. The "Fortnite" gameplay is actually a couple of months old and was played by the Twitch streamer who goes by the moniker wboyce. He alongside another player named Austin (The Real Eureka) seemed to be playing squads that time when the faux pas happened. Per the video, the storm was nearing towards them as wboyce is suggesting Austin to set up a launch pad for a quick escape. However, instead of building it, the latter dropped the item sending it sliding all the way down (they built a long ramp prior). That first slip up was still forgivable as he was given another chance to redeem himself by building a flat and another launch pad at the end of the ramp. The pressure might have gotten the best of him as he messed up big time once again as he accidentally built a rooftop around their only escape. The two still managed to use the pad, though they're already way deep inside the storm and both got eliminated. Albeit being an old clip, someone still took to FortniteBR's subreddit to show it to other members of the community. The post gained massive upvotes (over 18,000 at the time of writing) that several folks over on Epic Games took notice of it. 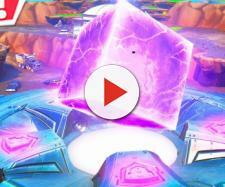 Epic's u/arctyczyn posted a comment stating that the nerves got into that player that he ended up placing the rooftop over the pad. The staff added that he'll be passing it on to his colleagues as it made him laugh so hard. Another one from Epic (u/JustMooney1) also left a comment on the said post. Per the staff, he was "actually crying" by the time the fellow built the unwanted structure. The hilarity of the said video may well seem to be too infectious among the Epic staff that its Community Manager – Melissa Dingmon (u/melissadingmon) also took notice of it. According to her, those from the Community Team were crying from laughing upon seeing the video. The short clip even made it to "Fortnite's" official Twitter account and has been getting a lot of likes and retweets.